Are you thinking about buying a car this year, but have no idea how to go about it? Buying a car is a big financial decision, and one you shouldn’t just rush through over the course of a weekend. 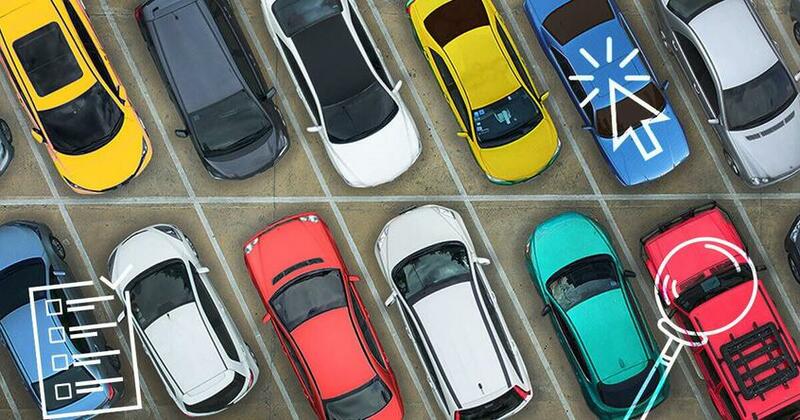 Start your research with these 10 car buying tips to help you find an affordable car that also fits your lifestyle. Let’s start with a bit of a reality check: new cars drop in value like a bag of rocks, losing 60% of their value in the first five years! (1) This isn’t a smart investment. You really should only consider buying new if you have plenty of money to burn. With that out of the way, your first step is deciding what you can afford to pay for a car. Leasing a car and going into debt to buy one are both bad ideas, so what you can afford is based on the amount of cash you can pay up front. If you don’t have the funds for a used or certified pre-owned car right away, you’ll have to make room in your budget to set money aside each month. Figure out where you can get by on less and how much you can afford to put toward your car fund. Remember, leasing or financing a car will not help you build wealth. It’s much easier to save around $500 a month (the average car payment(2)) for 10 months and buy a used car with no strings attached. Do you really want to sign up for a payment plan and pay thousands of extra dollars for several years? Once you’ve decided on a price, start looking at cars that fit your budget. There are plenty of ways to find used cars in your area. Your local dealership likely has a website for you to view the cars they have in stock. And you can check sites like Craigslist to see what other cars are on the market. Narrow down your options to a few cars that fit your price range and needs. Consider factors such as safety, speed, gas mileage, comfort, and how it handles in bad weather. Just because something is a good fit for your wallet doesn’t mean it will work for your lifestyle. And if a car you love is a little above your budget, go ahead and include it on your list. As a cash buyer, you’ll have the power to negotiate a better price. When you find a car you like, it’s time to do some research. Look up the Kelley Blue Book value of the vehicle to make sure the price is fair for that year and model. You should also check each vehicle’s history report. This will tell you the accident history, repair information, potential recalls, and other important information about the car. Simply request the Vehicle Identification Number (VIN) from the seller and use a website like VehicleHistory.com or Carfax.com to research the car’s history. Some sites charge for the information they provide. And while paid reports are more comprehensive, free reports will alert you to any major red flags. Some car dealerships or private sellers will also provide a report if you ask. Either way, it’s worth a check. If you get a good deal but end up in the shop every week for maintenance, you’ll spend more money in the long run. By now, you should have a handful of potential cars that check out history-wise and fit within your budget. But it’s not enough to be able to pay for the car—you’ll also need to make sure you can pay for the insurance that comes with it. Talk to your current insurance agent about running a few quotes for the cars you have in mind. If the price is too steep, don’t be afraid to consult an independent agent for more options. Online insurance quote generators can be helpful, but you’ll get a better deal by talking to an insurance agent on the phone or in person. You might even be eligible for discounts you didn’t know existed! If you want to save even more money on a car, use an Endorsed Local Provider (ELP) to get the best car insurance for your budget. These indepenedent insurance agents shop around to get the best deal on car insurance that’s truly customized to fit your needs. People who use an ELP save an average of $731 a year on insurance premiums. Find an independent insurance agent today! Now for the fun part: Take the car for a test drive! Know exactly what you want before you even step foot in a dealership. And keep an eye out for their upselling tactics! If the dealership doesn't have the car you want but has a budget-breaking similar model with a new sound system and heated seats, it's still not the right car for you. Once you're ready to get behind the wheel for your test drive, choose a route that allows you to experience different types of driving. The way a car handles on the highway will be different than how it drives in the city. Pay attention to anything that seems odd. Does the car rattle when you go over a bump? Are there any weird noises? These details will help you out in the next step. Before you spend a dollar on a used car, take it to a mechanic for a full inspection. Sellers can lie when there’s money on the line. While the car might look and feel fine when you take it around the block, you never know what could be going on under the hood. Don’t feel awkward about asking for an inspection. This is a routine part of the car-buying process. If the seller is hesitant or gets upset about your request, they probably have something to hide. Dealerships are usually hoping to reach their year-end goals, which motivates them to slash prices and move cars before the end of the year. During the late summer, a lot of dealerships want to sell as many cars as possible to clear space for newer vehicles. Again, you'll want to go later in the month to ensure you are getting the best price possible. It may seem like a simple tip for buying a new car, but waiting for the right time to buy a car can save you hundreds, if not thousands of dollars, on the final sales price. You're at an advantage here for two reasons: You've done your research, and you're paying cash. Give the seller a price you're willing to pay for the car. This price should be lower than what you're actually willing to pay so there's room for you and the seller to meet in the middle. Negotiation is all about the attitude. You have to act like you’re willing to walk away from this car if the seller doesn’t come down in price. It’s like Dave always says: If a dealer senses for even a second that you really want a certain car, you won’t get a good deal. It also helps to see if another third party or dealership is selling the same car for a better price, and bring that to the table. If you get a deal from one seller and take that dollar amount to another seller, they may come down on the cost. If you pay with cash on top of that, you can get an even better deal! Don’t pay for things that you don’t really need like a racing stripe, special detailing, and especially extended warranties. A warranty is not a necessary expense if you have your fully emergency fund in place. That alone will cover any costs you have if the car breaks or has problems. If you change your mind and want to purchase extras down the line, you can always contact the dealership to negotiate a price. That gives you time to decide which features you really want and which would just be a luxury. If you need support when you’re ready to buy a car, take a friend or family member who can help steer you in the right direction. They can also help you remember details about the car that the seller tells you, which can help you make a decision. And bring someone who knows a lot about cars if you don’t have much experience with buying and negotiating a car deal. Remember, the purpose of a vehicle is to get you from point A to point B, not to prove your social status to the world. As tempting as it is to hit the road in a car you can’t afford, it’s more likely to be a burden than a blessing—especially if it’s not in your budget. Chances are, your car isn’t the first thing you think about in the morning or when you go to bed at night. The key to happiness is not a new car, so don’t pay for it like it is! Once you’ve snagged your awesome car deal, you need to look at trying to save even more money on your insurance. Connect with Dave’s Endorsed Local Providers (ELP) to find the best rates on car insurance to fit your budget.